Today we welcome a guest post from Jerry Clark, wine writer and president of Winemaven Enterprises in Mystic, Connecticut. Jerry and I are both contributors to Provence WineZine and we had the good fortune of meeting in Lodi, California earlier this year. Susan Manfull, founder of Provence WineZine, was there as well as we all attended the Wine Bloggers Conference and accepted awards for our work. 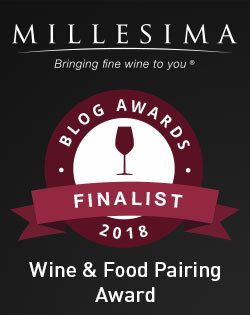 Provence WineZine was chosen at the Best Single Subject Wine Blog. Susan Manful, founder of Provence WineZine, with writers Jerry Clark and Jill Barth in Lodi, CA Wine Bloggers Conference. I’m honored today that Jerry, winner of the Best Post of the Year, has provided us with an update on Napa, where a classic movie line refreshes its relevance in the world of wine. “Show me the money.” 2016 is an active investment year in Napa. Joe Wagner unloads Meoimi, Quintessa scores big on The Prisoner sale, and now Duckhorn. No doubt about it, Napa is the Wall Street of the wine world. High stakes payouts abound for the crafty vineyards. And in the case of Caymus’ Wagner, he didn’t lose a single vine in the Meiomi sale, just gave up the label. What a contrast that is with not so far away neighbor Lodi. My recent vineyards visits and tastings there were a real eye opener. Here you are clinking glasses with families that can boast five generations of grape production. What they sell for $600 a ton brings $6,000 a ton in Napa. But that does not bother the Lodi growers. They continue to work on smaller bottlings of very good quality wine, with a range of grape varieties that to my knowledge outstrips what is currently being developed in Napa. Weeks after denying rumors that it was set to be acquired by Constellation, Napa’s Duckhorn Wine Company has been snapped up by private equity TSG Consumer Partners, which also backs Pabst Brewing. The transaction includes all six Duckhorn wineries: Duckhorn Vineyards, Goldeneye, Paraduxx, Migration, Decoy and Canvasback and their corresponding properties, along with more than 600 acres of estate vineyards, including the Three Palms Vineyard in Napa Valley. Founded by Dan and Margaret Duckhorn in 1976, Duckhorn has been owned by GI Partners since 2007. GI Partners recently made another wine industry investment, acquiring Napa’s Far Niente and Nickel & Nickel, leading to speculation that it might be ready to unload Duckhorn. Rumors that the winery would transition to acquisition-hungry Constellation, however, proved to be unfounded. In Duckhorn, TSG gets one of the U.S. wine market’s fastest-rising players. Decoy by Duckhorn continues to grow at a rapid pace. The upscale brand ($22.50 a 750-ml. on average) jumped by 22.3% to 406,000 cases in 2015, according to Impact Databank, and it’s on pace to finish the current year as one of the market’s top 50 wine brands by retail sales value. Meanwhile, portfoliomate Duckhorn has also thrived, with its double-digit growth streak continuing in 2015 with an 18.8% rise to 121,000 cases. Thanks to Jerry for sharing this Napa Valley update with us. Welcome to L’occasion! When I went to Duckhorn, one of the sons took me into the back of a trailer and we opened up cases of wine that we were sitting on and tasting the wines, because the tasting room was still in construction. Still one of my great memories in Napa. I hear so many compliments on their wines! Thanks for sharing! The Napa Valley corporate conglomerate wines make me sad. Here, here to the small guy and the family wineries.